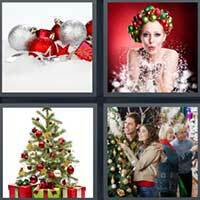 4 Pics 1 Word answers and cheats for the XMAS Special Daily Challenges. 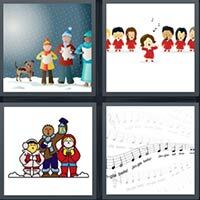 Guess the Christmas holiday themed word that the 4 pics on your screen represent. If you need help solving a level of the Christmas challenges, just use these 4 Pics 1 Word answers below! Stay tuned for more 4 Pics 1 Word xmas challenge answers!